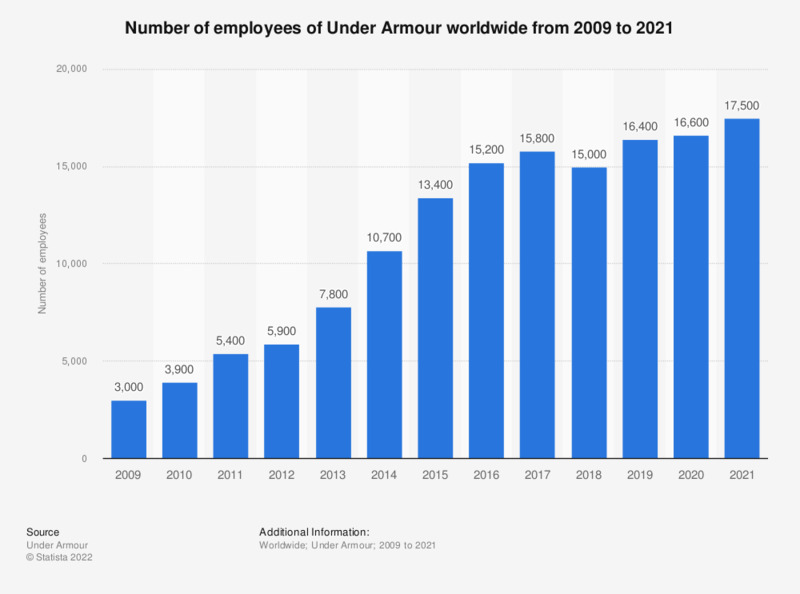 This statistic depicts the number of employees of Under Armour worldwide from 2009 to 2018. In 2018, Under Armour employed about 15,000 people. Under Armour is an American sporting goods manufacturer, based in Baltimore, Maryland. Data prior to 2018 were taken from previous editions of Under Armour's annual report. Everything On "Under Armour" in One Document: Edited and Divided into Handy Chapters. Including Detailed References. Which of these providers do you own a fitness or health tracker or a smart watch from?